Brad, I was of the understanding that having any ariels directly in front of the driver was now illegal in Qld? Recently I had a telephone installed in the car and was told it is now illegal and had to have both mounted on one side. Getting a quote is often easy, but paying the premium is hard or sometimes cost prohibitive. I notice the article discusses obtaining a quote but fails to mention if the customer actual bought the insurance, regardless of the premium being fair or not. Happy to say this incredible tourer is insured with Club 4X4 and insured to its complete value. Including the brand new LC200 and every dollar of modifications put into it. Premiums being fair are very subjective. Some customers will hunt for the lowest price, some will be more attracted to an appropriate coverage – in Brand’s case it was the latter. He is fully covered for his entire investment, has contents cover and off-road recovery cover. We’re very pleased to have him on-board! Congrats to you Brad for finding a reasonable insurance policy cover for your 6 wheeler. Just one word of advice, thoroughly read your policy wording and avoid potential surprises. There is no such thing as a free lunch and this is really true. Don’t be surprise when it’s time to claim when your pride and joy is being repaired with non genuine parts or even secondhand and you will need to contribute towards the parts based on an assumed lifespan! I doubt this will get published but we’ll see anyways. Very good points there Doan! As a Crash repairer I have had many disagreements with Ins companies to the point where I try to avoid dealing with them. Also if you do come to grief and need to make a claim, Don’t let the Ins Co tell you where your ‘allowed’ to have your vehicle repaired. As the owner of the vehicle and policy it’s your call not their’s! Ask the repairer to explain the quote if you don’t understand it. Read the policy wording ‘fine print’ and ask questions from your broker or agent. Hope you never need the above advice and hope to see your Rig on the tracks one day. Apologies that it took so long to publish and respond to this, we’ve been busy on the road at various 4X4 shows! One of the keys to our product is covering the enthusiast. The core to any type of motoring enthusiasm is a love of the vehicle. This is why we offer choice of repairer on our policy – we understand that everyone has a repairer they trust and there was no way we’d launch the product without offering this. This is not to say however that we will accept an unreasonable quote, at the end of the day to keep premiums reasonable we need to manage claims costs also. To date, of the thousands of customers who have insured with us i can count on one hand where we’ve required a second quote due to the preferred repairer providing an unreasonable repair quote. With reference to parts – we have identified through feedback that our wording doesn’t reflect our intent appropriately in our PDS. It is quite vague, so here it is in black and white in public domain until such time as we review our PDS. Any vehicle under manufacturer warranty will get a brand new OEM part should a part need to be replaced. Once a vehicle is then out of warranty the most suitable part will be used – this may be brand new OEM, second hand or parallel parts. How much was it? Excess? timer period? 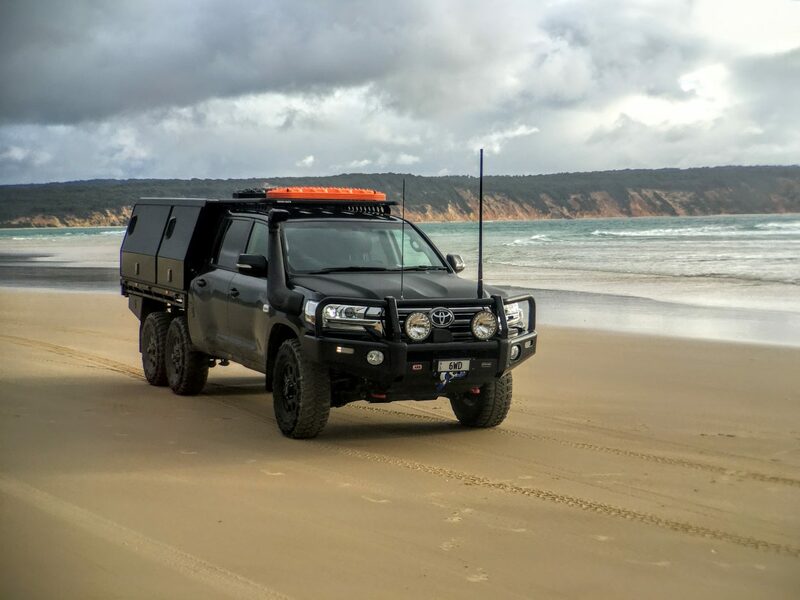 Hi Brad, we send a lot of our 6×6 clients to Ken Tame and Associates, who do all the Insurance cover for CMCA mostly Caravans and Campers/Motorhomes. Your new 200 series Crew Cab 6×6 looks great and I am looking forward to catching up with you early November, when I get back from my Africa trip . I recently sought cover for my GU Patrol 6×6 and did not receive an acceptable offer from Club 4×4 forcing me to remain with Shannon’s who were also unwilling to provide full cover given the extensive modifications. This surprises me. 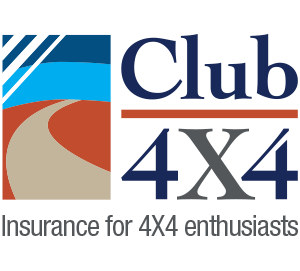 Can you provide your rego number to me by emailing resolution@club4x4.com.au? We’ll then look into this further for you.